E-commerce merchants can step up their mobile commerce initiatives with a new solution from IT solutions provider eGrove Systems. 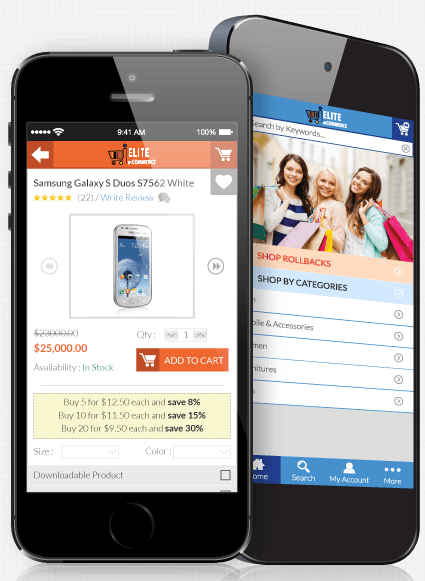 The solution, dubbed Elite m-Commerce, enables merchants to create their own m-commerce apps. The solution is customizable and has the ability to integrate with the merchants’ Magento store information. Once the app is created it can then be published to both Apple and Android stores. It is important to note that with the Elite m-Commerce solution, merchants can customize their app’s theme to include branded logos and banners. The solution also has the ability to support large inventories and enables merchants to send various types of push notifications, such as wish list, abandoned cart, order and offer notifications. Additionally, Elite m-Commerce integrates with PayPal, but merchants can also specify additional payment gateways to serve a larger client base. Other features of the solution include a reward point system and Google Analytics integration. Lastly, eGrove is in the process of integrating OpenCart, PrestaShop and Bigcommerce into Elite m-Commerce in order to reach a larger number of merchants.